If you grew up in the 1950’s, you certainly remember the Lennon Sisters from “The Lawrence Welk Show” The group debuted on the show on Christmas Eve of 1955, after Larry Welk, Lawrence’s son and a classmate of the sisters, brought the group to sing for his father who was sick in bed. Welk immediately signed the girls to be part of his show! This set of paper dolls is one of the many celebrity sets produced in the 1950s. My mother had this set, along with Marge and Gower Champion. Young girls must’ve had a lot of fun creating their own “Lennon Sisters” adventures with these dolls in anticipation for the next show! This set is currently available for sale in my Ruby Lane store! Click here to purchase! A wonderful doll accessory from the late 1920’s! 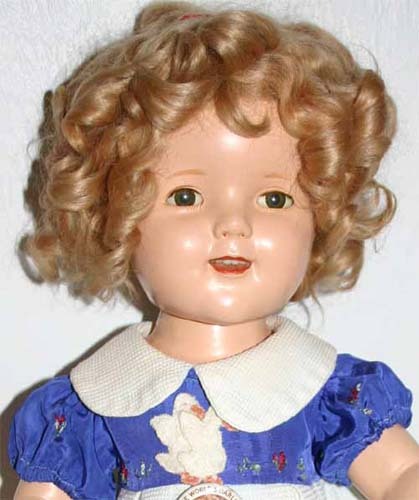 This Doll Dressmaker set dates from 1928 and was produced by the J W Spears company! I would’ve loved to have seen some of the outfits that girls made with a kit like this! Little dresses for their all-bisque dolls or Kewpies! The box is my favorite part, showing two sisters making clothes for their beloved baby. This image reminds me very much of my younger sister and I when we were young. We spent hours making outfits for our Sylvanian Family toys. I, like the older sister in the box image, did most of the work while my sister watched. We didn’t have a kit like this but used leftover scraps from my mom’s quilting. J. W. Spear and Sons was a significant manufacturer of board games during the 20th century. The company was registered in Fürth, near Nuremberg, Germany in 1879 producing goods such as table mats, photo frames and waste-paper baskets. By the turn of the century games had become the main product and output gradually expanded until the company become one of the best-known international manufacturers of games and children’s activity kits, employing up to 600 people. In 1932 they set up a factory in Britain and with rise to power of the Nazis and the Spear family being Jewish, production was gradually moved to Britain. The Nuremberg factory survived most of World War II under Nazi control until the Royal Air Force bombed it. The UK factory switched to military production during the war and then returned to making games. In 1954 the company acquired the rights to produce and market Scrabble for markets outside North America. As well as board games they made the Brickplayer construction toy. The company was floated on the London Stock Exchange in 1966 and was taken over by Mattel in 1994 after a bidding war with Hasbro. Mattel closed the UK factory and while it still produces Scrabble, most of the traditional Spear’s Games are no longer made. Good news! This item is for sale in my shop at Ruby Lane! Click here to view!